I really love May. Not quite as much as June, but it's still really fantastic. It's warmer and smells so fresh outside. My hair is getting a little more free, and my outfits are getting a little more bright. Every day has been the kind of day that makes me want to drive home with the windows down and a good country song on, and that's my favorite thing. Can you really go wrong with some gold sandals (can you tell Sarah and I are sisters)? 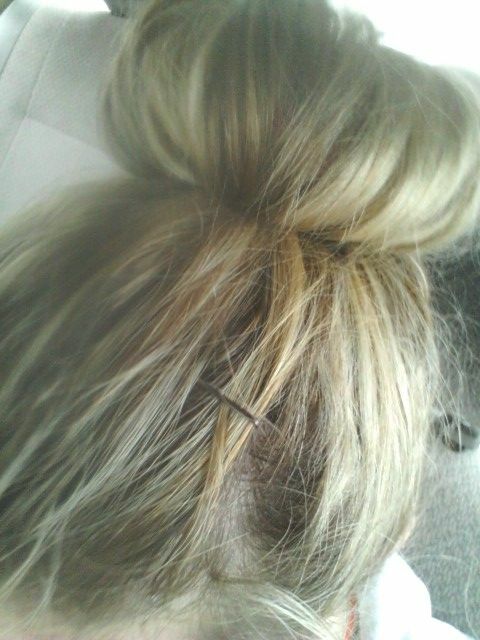 Sock bun! Oh my gosh, so weird wearing a sock in your hair. But for us girls with thinner hair and plenty of it, sometimes it just needs to be contained! This sock bun totally worked wonders. So easy and stays put. LOVE! 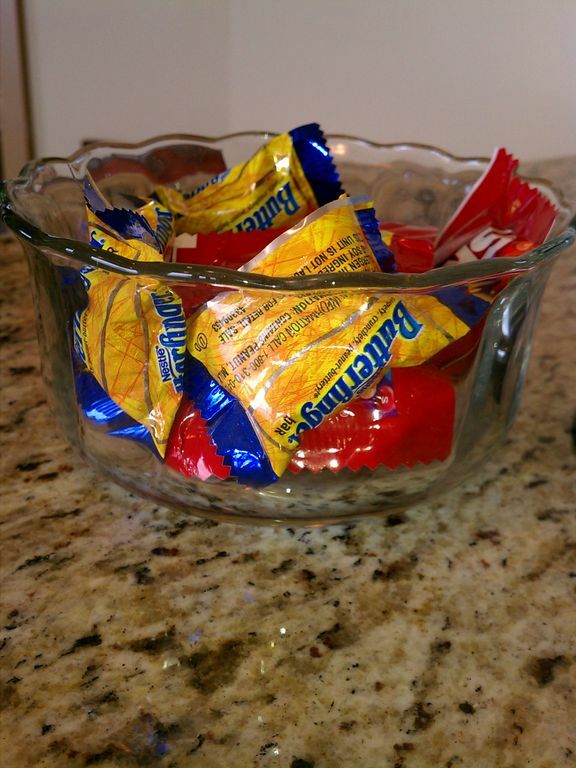 The candy jar at work. Isn't it great that this sits right by me every day? So fantastic for my healthy eating goals. However, it does get me a lot of friends at work, so that's nice. 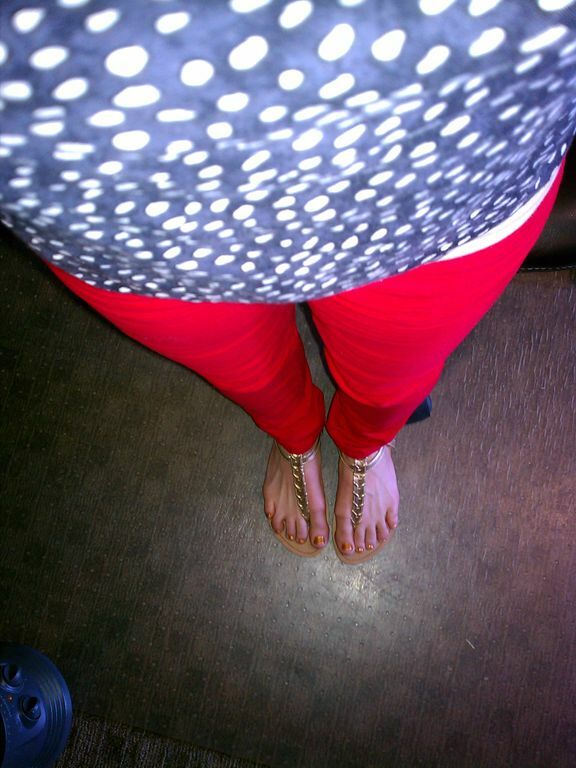 MORE RED PANTS DAYS! I think I'll just glue these to my body and never take them off again. Just kidding. But I could. In other news, Sarah is on her way back out to see me! The circumstances aren't our favorite, our sweet Grandma Hansen passed away yesterday. However, she was 87 and gets to celebrate her anniversary today WITH her husband, who passed away the year before I was born. We love our Grandma and it will be a bittersweet weekend of remembering and celebrating her incredible life! I love the sock bun! So sorry to hear about your grandma, but so so happy for her that she gets to spend her anniversary with her husband. I'm sure they're having a fabulous time together! I have really thin hair, too, so this do' is one of my favorites to wear, lately. I wish I knew how to do the sock bun! I have kinda thin hair, too. 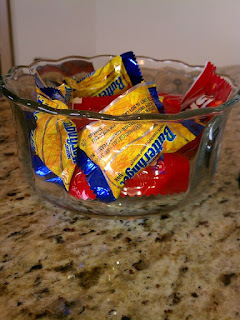 I wish I could look that cute in red pants with a candy dish alongside me all day!! I haven't attempted the sock bun yet, but I need to. I love the look! I so wish I could pull off a sock bun.